Following years of political pressure from financial justice campaigners and concerned account holders, British bank Barclays has ceased funding controversial firms that profit from environmentally devastating mining techniques. In a public policy statement released Tuesday, the high street bank announced its intention to abandon firms that engage in Mountain Top Removal (MTR) coal mining. “Provision of financial support to companies which are significant producers of MTR sourced coal will be agreed by exception only,” the statement said. MTR is an environmentally destructive form of coal extraction during which whole mountain tops or ridgeways are demolished, destroying local waterways and communities in the process. The practice has been particularly contentious in America’s Appalachia mountain range. According to research published in April 2014, Barclays was the leading global financier of coal firms engaging in MTR at this time. The study also revealed the bank was the world’s fourth biggest financier of the global coal industry between 2005 and 2014. Sam Lund-Harket, energy justice campaigner at Global Justice Now, welcomed Barclays’ policy change. “This is a victory for the account holders, civil society groups and Appalachian community organizers who have all put pressure on Barclays to stop financially enabling this particularly toxic practice, but there is still a long way to go,” he said. Lund-Harket suggested known reserves of fossil fuel energy should remain in the ground if climate change is to be meaningfully addressed. In a bid to raise awareness about Barclays’ funding of firms that practice MTR, financial justice activists from Global Justice Now (formerly the World Development Movement) held a protest outside the bank’s annual general meeting in April 2014. Paul Corbit of West Virginian environmental group Keeper of the Mountains also made his way to the AGM to address Barclay’s board about the grueling impact of MTR on Appalachian ecosystems and communities. Despite Barclays’ partial divestment from MTR practices, banks across the globe continue to bankroll this destructive extractive industry. Since 2005, at least $500 billion from banks worldwide has supported hundreds of coal firms and their respective mining projects. In terms of lending and underwriting, British banks RBS, HSBC and Barclays are all leading financiers of the coal industry, financial justice campaign BankTrack says. The group warns RBS is financing a number of “dodgy” coal mining operations in Australia, South America, and the US, while Barclays remains a key financier of highly suspect mining projects in Australia, South Africa and North America. Likewise, the campaign’s research suggests HSBC is funding less than ethical mining projects in South Africa, Australia and South America. Yann Louvel, Climate and Energy Campaign Coordinator for BankTrack, said Barclays’ partial divestment from MRT practices heaps pressure on other financial institutions to desist from funding firms that engage in MRT such as Deutsche Bank and Credit Suisse. Ben Collins, Senior Climate and Energy Campaigner at Rainforest Action Network, said Barclays’ decision to rescind its financial backing of MRT is a positive development. 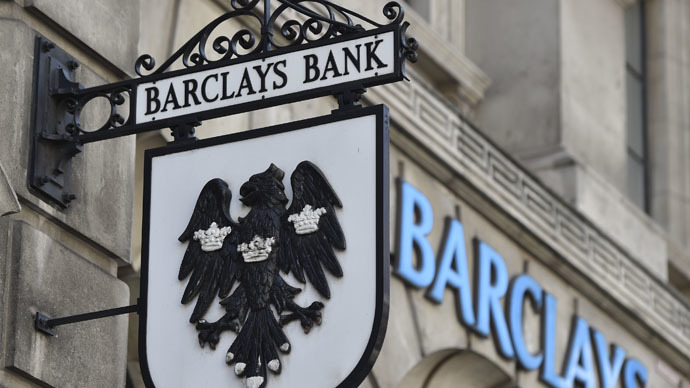 “We’re going to monitor Barclays’ future financing decisions very closely to see how this policy is implemented, but overall the announcement is a very good step in the right direction,” he said. In October, financial activists attempted to force Britain’s leading high street banks to cut all ties with coal, fracking, tar sands and other fossil fuel industries. The campaign was launched in a bid to pressure HSBC, Barclays, Royal Bank of Scotland, Lloyds and Santander into terminating their £66bn involvement in “dirty” energy. It marks a new phase for Britain’s growing fossil fuel divestment campaign, which spans multiple industries. Customers concerned about climate change were encouraged to write to their banks threatening to withdraw their funds unless they commit to ending investment in fossil fuels. The campaign, organized by ethical finance group Move Your Money, also called upon the banks to disclose all of their investments in fossil fuels within a 12-week period. HSBC is estimated to be the biggest backer of the fossil-fuel industry, investing £17bn in loans, bonds and shares in 2012, according to the Green European Foundation. Barclays invested £15.6 billion over the same period, while Lloyds invested £15.5 billion and Royal Bank of Scotland invested £14.4 billion.